While gardening might yield some of the most beautiful blooms you’ve ever seen, the actual act of planting and tending is less than glamorous. We love our time in the garden in an almost meditative way, and yet it’s no joke that our gardening outfits are quickly fit for little else. After days of kneeling in the dirt, wiping our hands on our pants, and carrying too many materials right against our chest, our whites have turned dusty rose and our denim a subtle shade of green. While the dirtying of our apparel might be inevitable, there are still some pieces we are willing to sacrifice in the name of gardening. While we have separate white tees and vintage jeans that don’t go far beyond our plants, pieces like pool slides, dark-hued tops, and hats do double duty all summer long. As the month of June kicks off with National Gardening Week, we’re rounding up our favorite looks to wear when you’re prepping your garden—large or small—for the coming season. From overalls to leggings and tanks, here are the cutest gardening outfits that you’re going to want to show off. 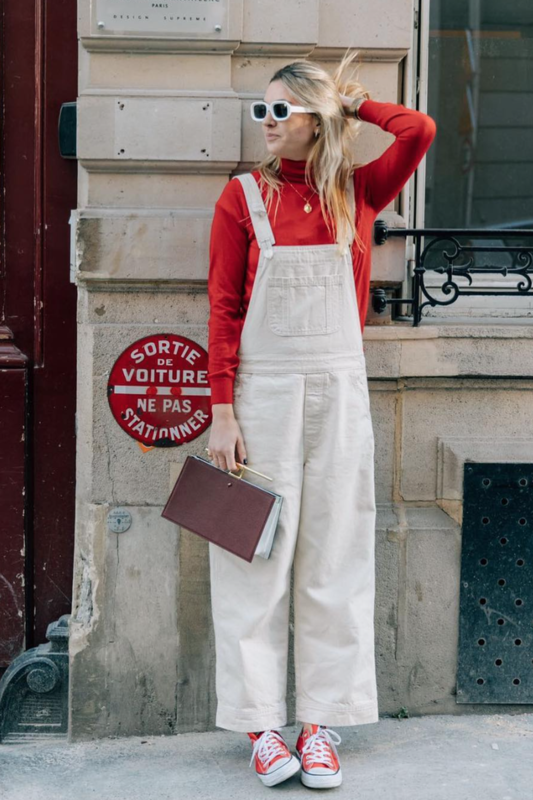 Add a pop of color to your gardening overalls with a bright red knit underneath (that may or may not match your colorful kicks). Keep the gardening spirit alive, even in your clothing, with a floral top to pair with your straight-leg jeans. Get ready to really get down and dirty in all-black athleisure. A graphic T-shirt, overalls, and whimsical sneakers will take you from a morning of gardening to an afternoon brunch with friends. Keep it classic with a vintage T-shirt, jeans, and a leather jacket for a go-anywhere, do-anything look this summer. Gardening is basically what the Canadian tuxedo was made for. Consider a boxy black tee underneath your denim-on-denim look for an outfit that will be as comfortable, chic, and clean as possible. Pair your overalls with unexpected tops like a printed off-the-shoulder look complete with ruffle cuffs. Bring the ’90s to your garden with ankle-cropped jeans, a white T-shirt, and a retro bomber jacket. Finish it off with a pair of low-top sneakers that will have you running around without fuss. Slim down your overalls look for an outfit that will take you well past your gardening afternoon. Seek styles with two-tone details for added flair. 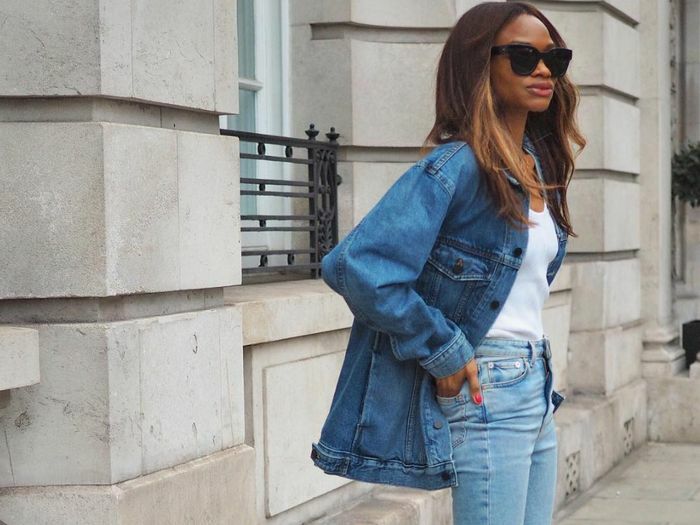 Play with proportions by opting for a slim tank and skinny jeans, but top your look with an oversize denim trucker jacket in a slightly different shade of blue. For those low-key gardening mornings that don’t require a ton of elbow grease, seek out a bright and printed minidress that you pair with your favorite low-top sneakers. Cozy up in an oversize sweater with your go-to jeans, but choose a style with a rainbow print or a colorful tone to channel the light and airy season that is summer. Go DIY with your top: If not now, then when? Style a graphic tee with black skinny jeans, finishing off your look with a pair of sneakers for ease. Available in sizes 10 to 24. Gardening has never looked so fashionable.